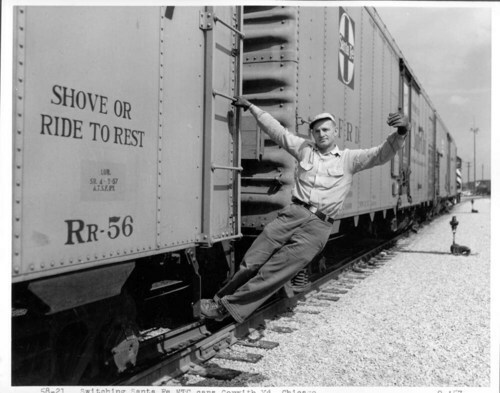 This AT&SF employee is helping switch mechanical temperature controlled (MTC) refrigerator cars in the Corwith yard in Chicago, IL. The photo has a date stamp of November, 1957. The number on the car is Rr-56.